The rocks don't currently fly at any speed when kicked. They disintegrate Still debating on that one. Oh! So what are those black things that fly off? Those are what the things to which I referred. Err.. well this is embarrassing. I have no idea what you're referring to. When you kick the rock (and earn points), it disintegrates and nothing flies off. When the rock hits you (and you lose a life), the rock itself flies off depending on where it hits you. If you're referring to something *else*... screenshot? Did I code in some kind of weird bug that only your config sees? Edited by freeweed, Wed Nov 5, 2014 9:22 AM. Woah! I feel like I'm in the Twilight Zone! So, I "I tested and saw," and the objects fly off too slow. I'll take a screenshot when I get home tonight. When you kick the black things (I generically refer to them as rocks), they do not fly off at an angle. They will disintegrate (flashing colors followed by disappearing) accompanied by a brief burst of noise. When the black things kill you, you die, fall back, lay down, and the halo effect happens. This is when the black object will fly off at an angle. Currently they fly off at the exact same speed as they're thrown - and I'm not even sure I like that. If they've collided with you, they should in theory fly off somewhat slower as they'd lose some momentum after hitting you. Making them fly off *faster* seems counter-intuitive. No, no, we're talking about the same thing. I'll test again later, but it seemed to me that the rocks flew off when I kicked them, and not when they hit and killed the goat. I understand what you said about the rocks losing momentum when hit, but you are not simulating real-world physics here. The idea is to get them out of the way quickly, in a neat and interesting way that does not distract from the rest of the action; having them fly off at "cruise speed" seems a bit slow to me. That's all. That said, let me test some more and confirm that the rocks are behaving as you said. Yep, that's what I meant. It is what I would have done and I think it looks more natural than previous ways, the speed is good also, but it wouldn't bother me if it was faster or slower, it is more the angle itself. Try this version out. The rocks fly off a twice the normal speed instead of cruising by. I think you may be right about this. Also at higher game speeds (which currently you never hit, because I'm skipping to the end) it won't feel so weird. Speaking of which, I should probably open this up and let the natural stage progression take its course. I'm thinking 20,000 pts per stage. Will make it fairly difficult (I hope) to complete each one. Edited by freeweed, Wed Nov 5, 2014 4:13 PM. Hmm... 5 pages into this thread and still no "I want to pre-order 12! With box and overlays!" messages... Must be a slow day. I'm only making 10 copies available. This thing will be the next Blix, trust me. You have to add a few bugs and make the gameplay more confusing. You're not trying hard enough! ...and replace the title screen with a black screen and some text, also take out the level select AND most importantly...stop using the disc for movement and only use the keypad and whatever you do, don't include any screens that let the player know what the hell is going on. Then get a table at the next Saskatoon Retro Gaming Expo and sell your 8 copies there. Put 2 on Ebay for BIN of 700. PS. Don't print out instructions sheets or bother putting the cart in any kind of packaging. Bonus points if the cart has no label. SRGE! Now to code me up a farm simulator for INTV. There's only 9 8 copies available 'cause I'm buying 1 2. 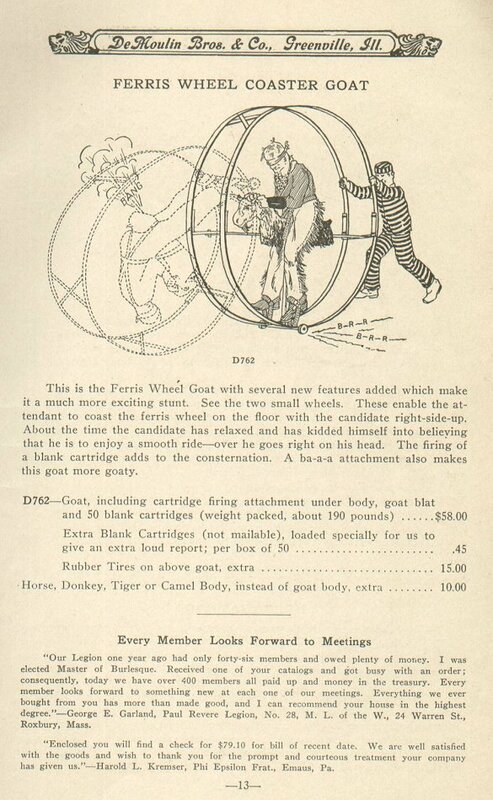 One for me and one for the Ferris Wheel Coaster Goat. FWCG has to have a copy, don't you agree? Much better. Also, I confirmed that the behaviour is as you described: the rocks disintegrate when you kick them, and fly off when they hit you. Sorry about that. Yet another update. Select the first stage (1, spring) and there's a little intro story animation. Ties into the ending and whatnot. Man you can cram in a lot of stuff when ROM space isn't at a premium. I'm starting to realize that the title screen will have to be changed. I've just introduced more Alps-inspired music into the game, so I think I definitely need a mountain scene instead of the barn thing. We'll see how much I can get out of 2-color cards first. Plus I have some concepts for bonus stages on the (literal) drawing board. Edited by freeweed, Fri Nov 7, 2014 4:28 PM. The story begins to unfold. Good stuff. Amazing what you can communicate with just a few pixels. So. My crappy drawing skills have come up with a new title screen. I had to go darker with the sky due to FGBG limitations. I'm basically maxing my GRAM and MOBs for this. I figure the goat wandering around, maybe walking across the title, would be sufficient. Artistic skills aside, comments? I figure if I ask nicely Tarzilla might make a better title screen for me I'm actually rather proud of this, I'm just not sure how much "programmer's graphics" have affected it. But it's amazing how many tricks you can use to get past the 2-color card limit. Edited by freeweed, Fri Nov 7, 2014 6:19 PM. Don't sell yourself short, that's pretty good. Is that supposed to be the moon or the sun? How many MOBs are you using for the goat? I really like the intro story screen. I have an idea for the grid separating the 4 panels to make it less plain. Are you planning more story between the rest of the seasons? Are you planning on the Seasons screen like Spring to have an explanation of what each object is or what the points to get threshold is? I think that should be done on screen, not just in the manual. If not I have an idea to make that screen interesting. Either way, I have a 4 day weekend so I'll take a stab at a revised title screen sometime soon. Thanks Well, it's supposed to be the sunrise. However... the sky is just dark, so yeah, I kinda had a moon thought as well. Then I'm not sure if I should change it to white. Not 100% happy with the palette selection available but I don't mind the overall look of the screen. In fact I quite like the darker tones. The goat uses 3 MOBs - one for the left side, one for the right, and one for the horns/eye. I'm using one MOB to dress up the snow on the mountains a bit more, and the last 4 are for the sun/moon. So I just used one and mirrored it to make a circle. The base title screen ended up using 49 cards. Add in 4 for each goat body (eventually he'll walk), 1 for the horns, that got me to 58. A card for the snow put it at 59. So there's not very much wiggle room. I decided to just use what I had for some cheap animation. I could cut the card use by a ton if I just went for the GROM font, but that's boring. Curious what you're thinking on the intro screen re: grid. This used a LOT of cards - more than I expected. And I did spend a fair chunk of time lining things up to minimize that. I was aiming (obviously) for a comic-book type storyboard, and I had a few thoughts to break up the panels a bit more (not so even) but ran out of creativity. In terms of the seasons - I wasn't thinking of an intermission every season, although it's not a bad idea. I'm trying to avoid cutscene-itis, so I don't want TOO many screens people have to skip through. I loathe games that do that when I just want to get to the action. Although... I guess I'm already putting in a quick "SPRING" etc screen; easy enough to add item details there. Again curious what you have in mind. My current thinking is a bonus/mini game in between the seasons - at least between summer and fall as a beginning. Already got the music written for it (the overall theme is going to be VERY apparent to some), and a rough idea of what to do re: gameplay. I'm kinda leaning towards the former. Seeing as the progression is score-based... every player would have the exact same score at the end of the game otherwise. Adding in 3 bonus games means I could track the "real" score there. And I'm thinking time-limited, like say Gyruss or what have you. Where you CAN get a perfect score but it's difficult. My only debate on that is do I go for one bonus game with increasing difficulty each time, or try to think up 3 completely different games. Need to make one first, then we'll see. I think the sky would be better a lighter colour, maybe Cyan? It looks like night time, which doesn't seem to fit the game. I like the name "GOATNOM," and the fonts are very cool--however, perhaps for a different game. They look too "futuristic" for this fanciful game. Although I love the fact that there are mountains (hehe), they are a bit crooked and weird. You may want to make the western slope of the center mountain a bit less steep. The goat doesn't jump as fast as before. I know this may seem trivial, but part of the charm of the old screen was the "frantic" appeal of the goat as it jumps excitedly with the song. The intro scene is fantastic! I like it very much. The pace is very good. I wish you'd use more original music there, rather than rely on random bits of overused works, but it's fine. There's only four seasons, so having four intermissions with little vignettes is not a bad idea. In fact, I would prefer it. One of the best things that Christmas Carol has to offers, according to many people (and myself), is the cut-scenes you get on every "stage," eight in total plus the ending, which are counted on every two levels. Title -> intro -> spring -> cut-scene -> summer -> cut-scene -> autumn -> cut-scene -> winter -> BONUS -> ending. The bonus would be like a "Boss" level like in Mario games, or a "Challenge Stage" like in Gyruss. From the Title Screen, if I press a number from 1 to 4, it automatically takes it as the warp level. I'm not sure if this is by design, since it flashes the "Select..." screen briefly before jumping directly to the season. Great work! This game is going to be very cool--even more than it is already! Edited by DZ-Jay, Sat Nov 8, 2014 6:06 AM. - Looking much more polished now. - Nice title page but I also think that the GOATNOM font looks a bit odd for the style of game. - Like the intro - as DZ-Jay said, its very well paced. - Score keeps going down if you don't collect items for a while. This seems odd to me, maybe you should have a goat fill-o-meter instead. Then you get to keep your score and you have an indication of how full the goat is. Maybe if the goat gets full you progress to the next season. - Bug: A rock accelerated from the mid point on screen, just before they started getting faster. Visually it'd be better if they started accelerating when the farmer next through a rock (assuming its timer based). - Bug: Died, restarted and the score was at my last score for a few seconds. - The text "SCORE:" in the status area looks out of place. It'd look better with just the digits in my opinion. That'd also free up some space for a fill-o-meter and maybe some goat life icons as well. - How about displaying the high score on the title page as well? That gives the palyer something to beat. - Game over screen looks like its from a different game. I get that its supposed to be a farmer looming over you, but it kinda has a gangster feel to it, in my opinion. The Game Over screen reminds me a cartoon character, my first choice was tweety monster, but after a glance it doesn't look similar. Groovy - your score is *supposed* to decrease if you miss items. One of the most classic INTV games did this It's really what makes the later levels so damned difficult - at least that's the theory. If it was just eating and avoiding rocks, people would breeze through this every time. In terms of bugs - the first one is intentional, and I find it adds a bit of challenge early on. Hit 1000 pts and beware of that first rock. The other bug... hm. I'd have to see the exact circumstances. I worked pretty heavily to avoid that sort of situation. On the word "score": personally I've always disliked games that just had random numbers displayed and you're supposed to guess what they mean. DZ: I've already commented on some of your thoughts. The colors are what I'm limited to - you cannot have a cyan sky with purple mountains, for example. Unless I go Color Stack, which will end up taking away some of the multi-color cheating that I'm doing. I may play around some. The goat jumping speed went down when I started MOBing the heck out of the title screen. The goat may end up walking around instead of jumping - the jump was just a placeholder, I didn't think anyone liked it. Oh and the stage selection acts weird because it's a dirty hack just to let you guys see the other stages without having to play through the entire game. I can't believe no one recognizes the Game Over screen. I'll have to put some thought into something better I guess. Groovy - your score is *supposed* to decrease if you miss items. One of the most classic INTV games did this It's really what makes the later levels so damned difficult - at least that's the theory. If it was just eating and avoiding rocks, people would breeze through this every time. The score as it it is indicates that the goat is burning energy to become empty . Thats the "goat fill-o-meter" . With the fill-o-meter you could slow the goat if it gets to a critical value or if its full for too long maybe it goes into turbo mad mode. Its just another play mechanism to experiment with . In terms of bugs - the first one is intentional, and I find it adds a bit of challenge early on. Hit 1000 pts and beware of that first rock. Its very odd for the rock to accelerate for no reason in my opinion. The other bug... hm. I'd have to see the exact circumstances. I worked pretty heavily to avoid that sort of situation. On the word "score": personally I've always disliked games that just had random numbers displayed and you're supposed to guess what they mean. Its not like you can't guess its the score .